With the goals of being involved within our community and giving back to our community, we do local service projects. Windhaven — Windhaven is an assisted living center which is part of the Western Home Community in Cedar Falls. 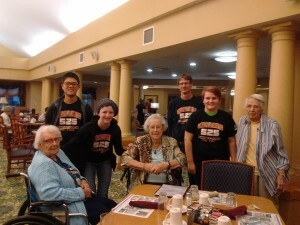 We visited and played games with residents. 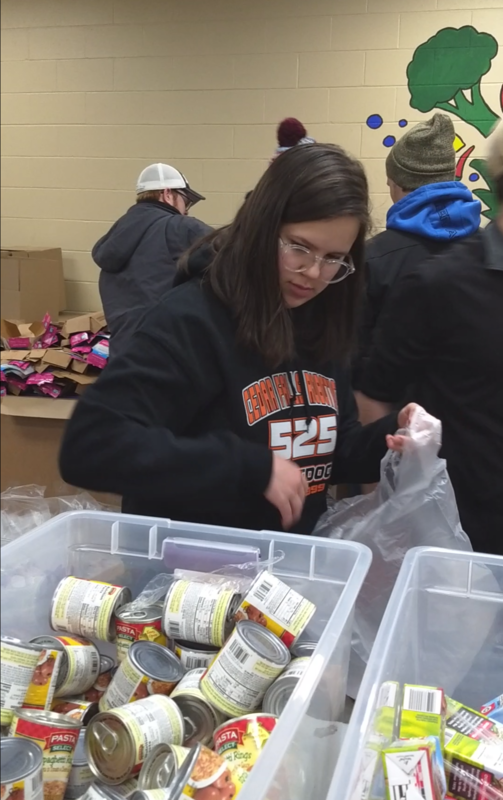 Sandbagging — When school was cancelled for a few days due to flooding, we sandbagged to help those who live near the Cedar River. 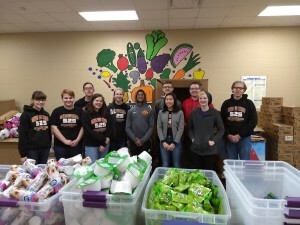 Food Bank — We volunteered at the Northeastern Iowa Food Bank. We packed meals for their backpack program. 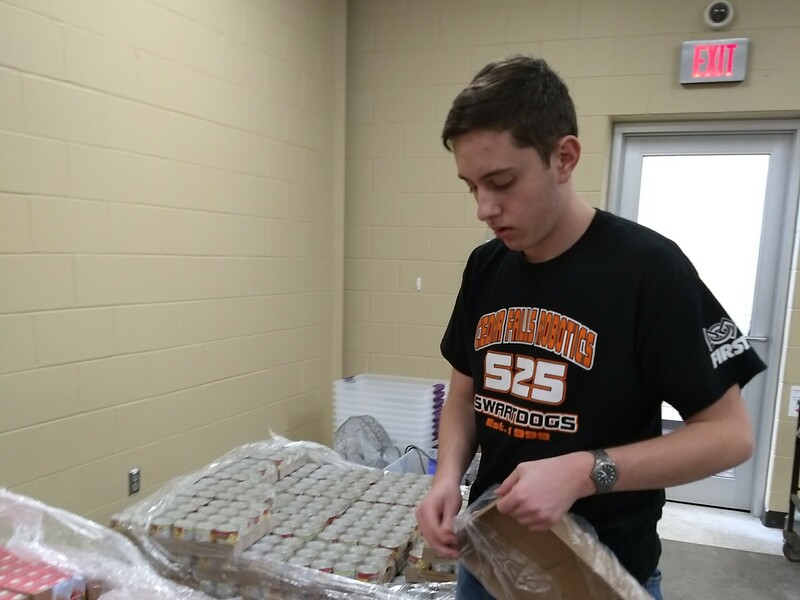 We packaged enough bags to supply 576 children with meals for the weekend! 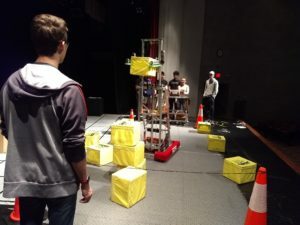 Robot Driving Contest — We ran an event for our school’s food drive. The event was a competition between all of the 3rd hour classes at our school. Each class could donate cash or food in order to drive our robot and participate in the competition. Each group had 5 minutes and 25 seconds to stack power cubes and see who could build the tallest tower. 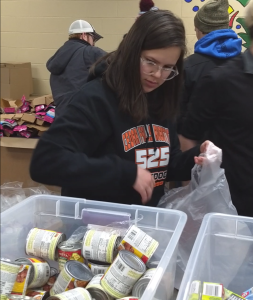 All of the proceeds went towards the food drive and was donated to the Northeastern Iowa Food Bank. 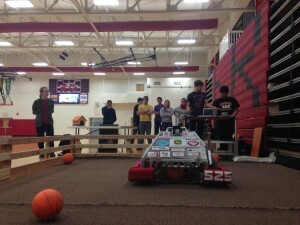 Bots for Tots — We hosted a Toys for Tots fundraiser at our high school. People could donate money or a small toy to Toys for Tots and then get the change to drive our robot. When driving our robot, the goal was to shoot as many baskets as possible. We kept track of the number of points they received and prizes were awarded to whoever made the most baskets each hour and overall throughout the day. 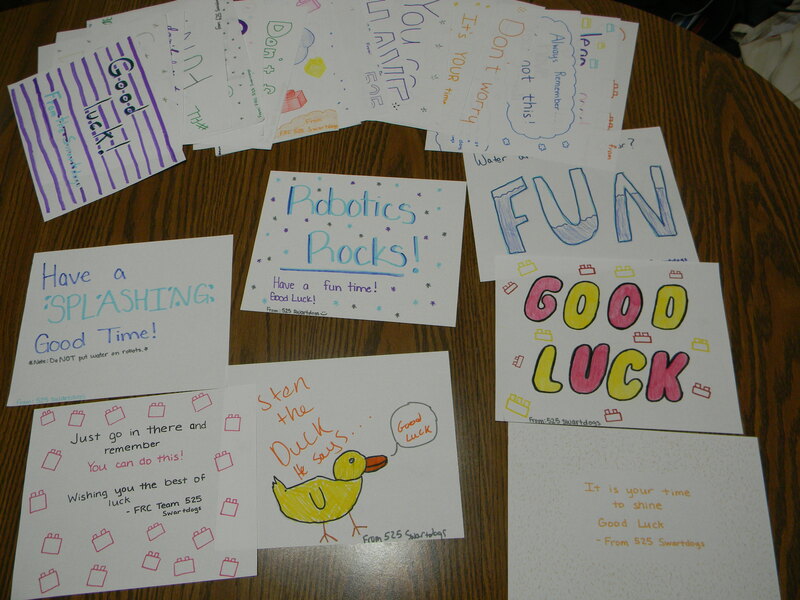 Good Luck Signs — We made signs for each FLL and FLL Jr. team at the Cedar Falls FLL Regional Qualifier and FLL Jr. Expo (which our team runs). These signs wished the teams good luck and a fun-filled day. We also made thank you signs for all of the volunteers, thanking them for their hard work and making the day possible. We were really excited to see that some of the FLL teams were inspired to do the same. One team made us a thank you sign for all of our work to make the event possible. Another team put a sticky note on each of the signs that we made for the teams. These sticky notes wished the teams good luck. It was cool to see the FLL teams showing Gracious Professionalism towards each other, too!